I am writing a very basic hadoop streaming job where the mapper is basically to split each line into key and value, and the reducer to echo back the output from the mappers. This is a little bit different from just mapper-only job, it will do the big key-group. And the result will be order by key (not by value as default). However, the progress from the command line is really confusing and it reminds me of all the criticism about windows installation progress bar, i.e, it is not linear at all! As you can see, the mapping part finished in about 10 minutes and And the reducer part finished “67%” very fast, however, it took about 20 mins to got to 68%, another 30mins to get to 69% ..then 10 minutes for each percentage. The whole job finished in about 2 hours which is acceptable but I am really confused and curious what is really going on during that time. 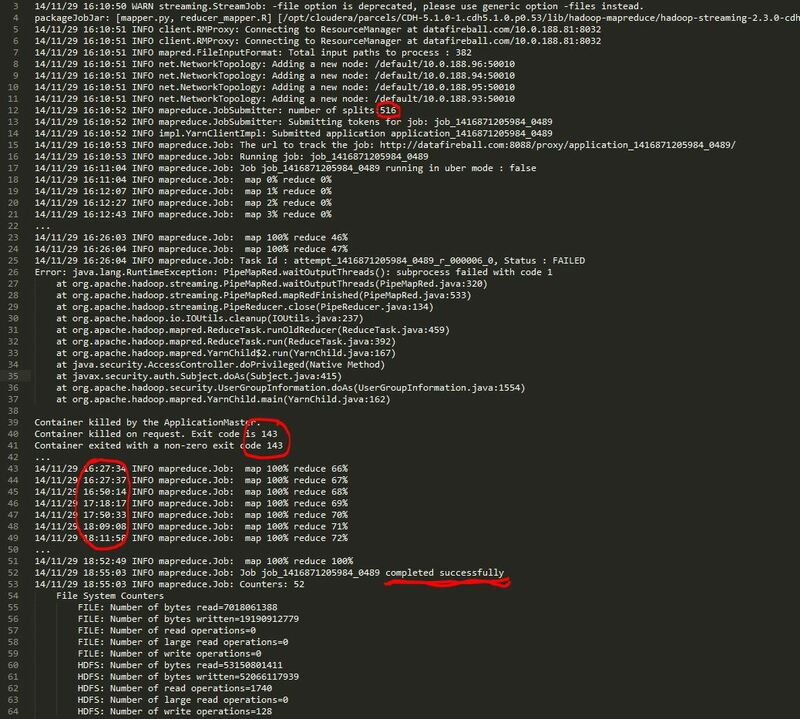 I pulled the cluster performance at that time and I can see the CPU was busy most of the time, which kind of proved that the cluster was not idle.